Before Bumble moved in to the commercial building in the Rosedale neighborhood of Austin, Texas, the collaborative team at Mark Odom Studio was already at work restoring the space to its original early-60s aesthetic. As an adaptive reuse project, Mark Odom and his team drew inspiration from photographs of its original form and worked to creatively mimic the textiles and details of that era. When Whitney Wolf and her team at Bumble were looking for an architect to make their vision come to life in the space, Mark was a natural fit, already knowing the space and proving he could think creatively to imagine a space like none other. 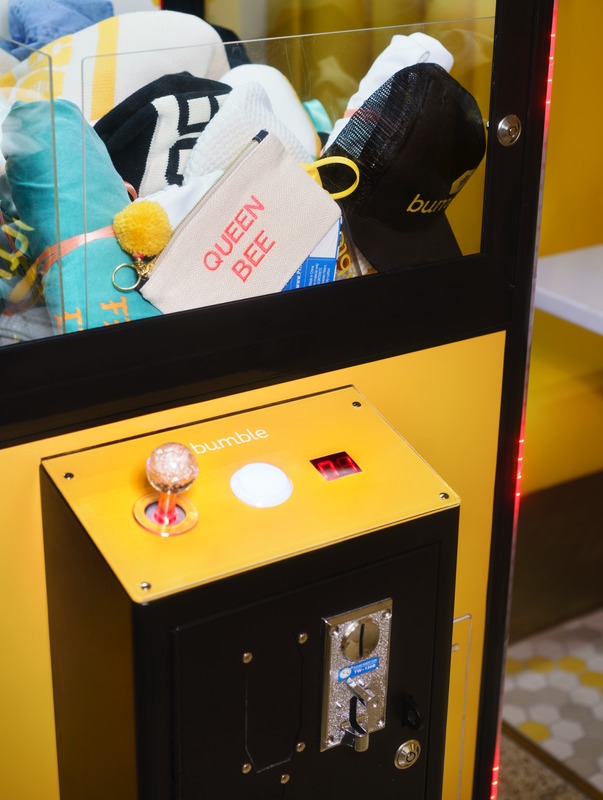 Drawing inspiration from photos provided by Bumble and the interior design team at JEI Desgin, Inc., the architects at Mark Odom Studio made visions of hexagon wall coverings and a lifestyle-focused environment a reality. Creating a commercial space that feels residential. 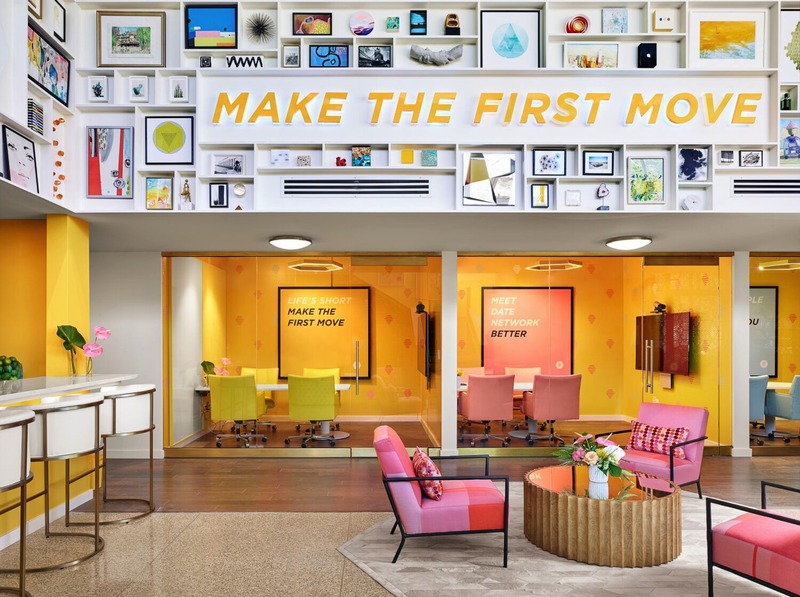 It was important to Bumble that its new headquarters feel like home vs. a traditional office. Mark Odom Studio led the team to ensure that the architectural elements and spatial design complimented their wishes while also remaining in code with the city's protocol. Making photos come to life through design development. The vision for the graphics and overall style of The Hive was influenced by a variety of inspiration photos. It was Mark Odom Studio's role to make those photos come to life while also developing a design that functions within the space. Building a grand staircase. 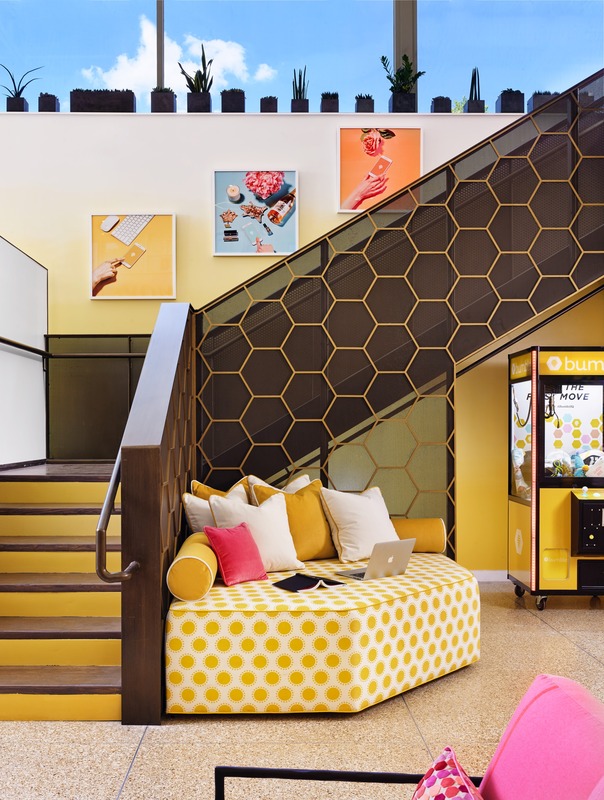 When Mark Odom and his team started to imagine how to make the vision for Bumble HQ's grand staircase come to life, they had to problem solve to determine how to attach a new steel panel to the existing staircase structure. The team also had to carefully map out the hexagon pattern that wraps around the staircase. “It’s always enjoyable to restore a structure to its original roots, especially one with elements dating back to 1960s architectural trends. 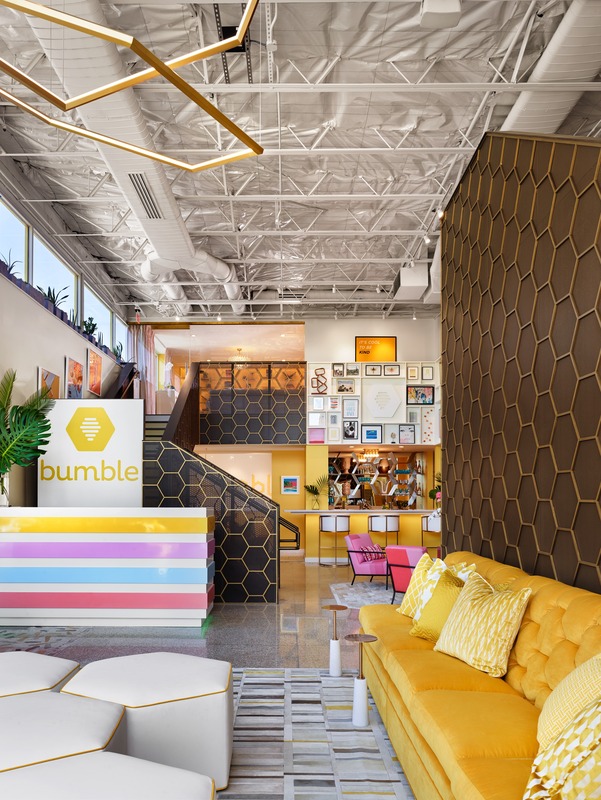 My team and I were inspired to build on that foundation while making the Bumble team’s vision of a lifestyle-focused company headquarters come to life. 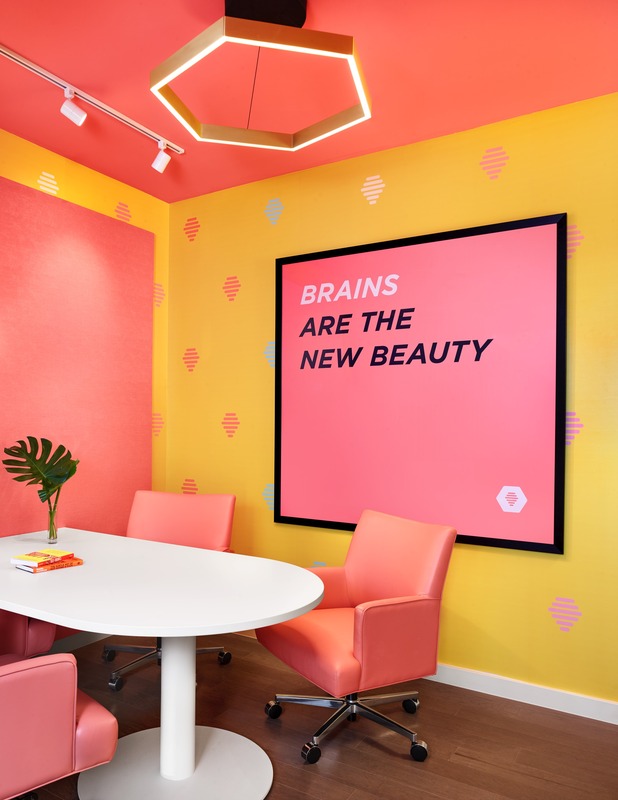 The Hive will surely live on in Austin infamy as one of the most stylish, vibrant and collaborative office spaces in the city.” - Mark Odom, founder and principal of Mark Odom Studio.